Tens of thousands remain without adequate shelter or reliable electrical power. SAN JUAN, Puerto Rico — Clapping and raising their hands to the sky, hundreds of people clad in white gathered at an 18th-century fort in the Puerto Rican capital Thursday to remember the thousands who died in the aftermath of Hurricane Maria as the U.S. territory struggles to recover one year after the Category 4 storm hit. Religious leaders and government officials recalled how Puerto Rico was ravaged by the storm that killed an estimated 2,975 people and caused more than $100 billion in damage. Tens of thousands remain without adequate shelter or reliable electrical power, a fact that Gov. Ricardo Rossello noted Thursday. Across the island, people marked the one-year anniversary with gatherings large and small, solemn and anger-tinged – and at times, even hopeful. 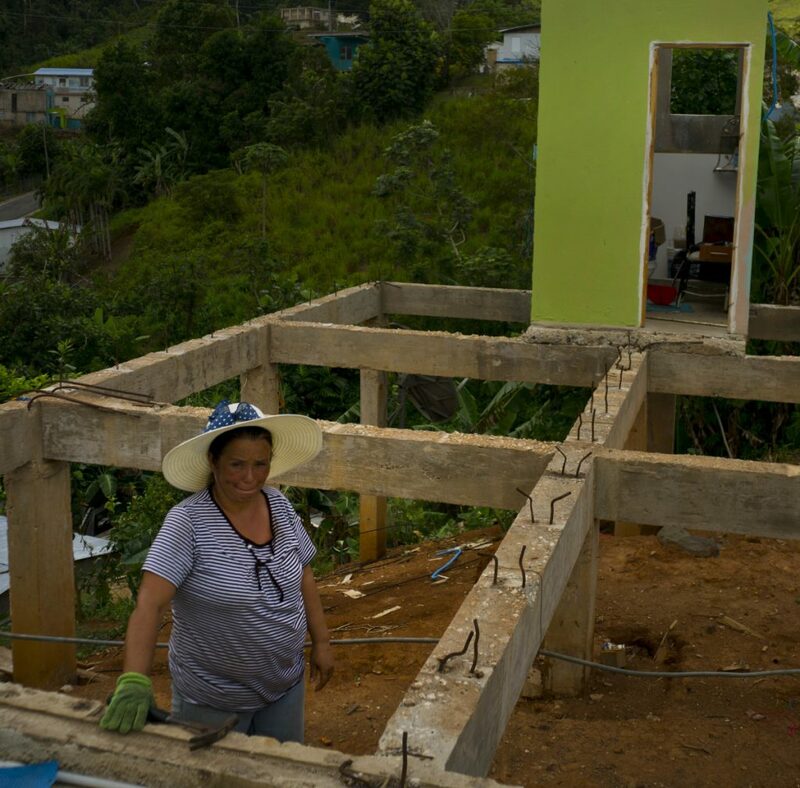 Tarps still covered many homes that have yet to be rebuilt in the town of 37,000, even as the nostalgic strains of “Amanecer Borincano” – “Puerto Rican Dawn” – resonated at the spot where Maria first unleashed its fury. In San Juan, the crowd of worshippers gathered at the 230-year-old San Cristobal fort sang and prayed along with pastors and musicians on stage, as the sun slowly sank into the sea behind them.